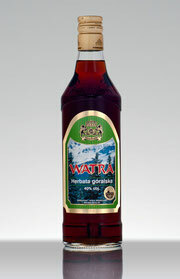 Sweet, flavoured vodka with concentrated tea extract, raspberry leaves and rum essence. After diluting with boiling water, sweetened rum tea is achieved. This tradition comes from Alpine Highlanders. A natural, traditional cherry vodka, prepared with fresh cherry fruit liqueur, balanced with an aromatic addition of root spices. 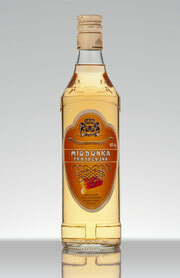 An exquisite flavoured vodka, semi-dry with a characteristic honey aroma and taste. Prepared according to an old recipe, very popular in the Silesian Beskids. Warms up and eases colds. It can also be served hot with a pinch of root spices. An exceptional natural vodka with a harmonious flavour and subtle bouquet with a dominant rose aroma. 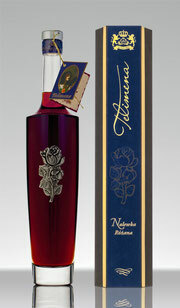 Telimena is a uniquely composed liqueur made with rugosa rose and wild forest shrub fruit and flowers. This liqueur is manufactured using traditional home recipes. 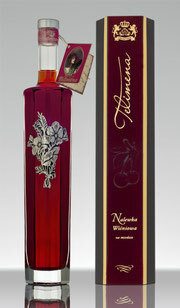 This liqueur is composed of fresh cherry fruit, high quality honey with a harmonious addition of a root liqueur. 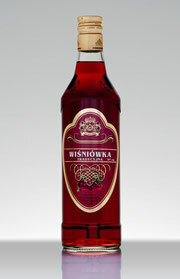 Its ingredients guarantee a unique taste, reminiscent of old nobility alcohols made long ago in Polish manor houses.